Picture is taken in an abandoned sand quarry now filled with water, in depth of 1 meter. 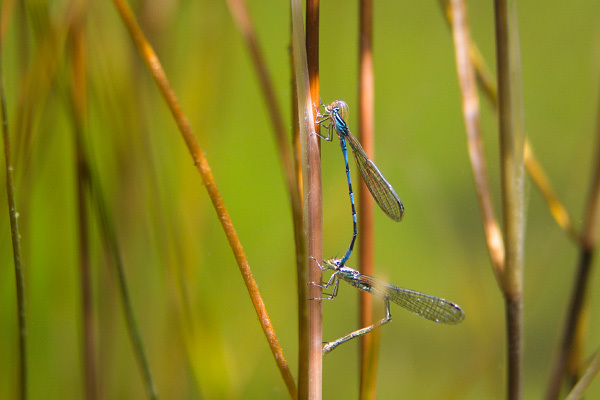 During their mating time damselflies spend a lot of time in water. So they build around their body like a spacesuit, which can be used as an air reservoir.